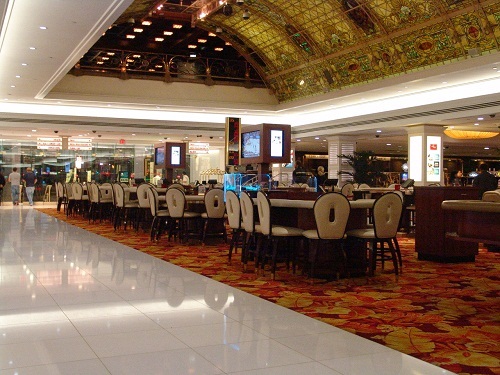 Tropicana Hotel and Casino has recently completed a 180 million dollar remodel project. The remodel was on every inch of the property. Its all clean and Sparkling New. Worth a visit or a re-visit to see it. This is definitely the best Remake of a Resort Casino in the history of Las Vegas. The Tropicana is now managed by Double Tree by Hilton. The first word You will use to describe the Tropicana to Your Friends is "Class". When You walk through this Casino You might find Yourself looking for Dean Martin. You feel like You are walking through a Movie set and need to put on your White Sports Jacket. The Sports book picture above has been torn out and making way for an upscale Restaurant. 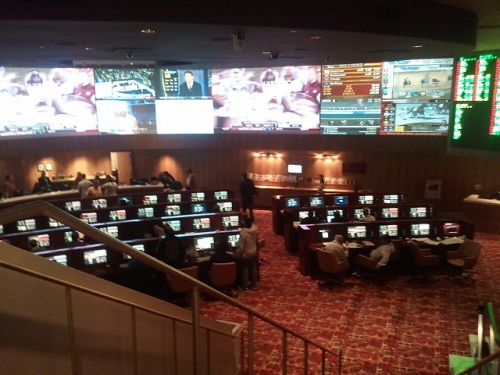 The Casino still has sports betting but just in a much smaller space. The Casino has 62,000 sq feet of gaming area, not small but not so big that You get lost. All the popular Slots, Video Poker, Keno machines, Penny slots, Black Jack, 3 card Poker, Let it Ride, Pai Gow poker, Rapid Roulette, Roulette, Craps, Progressive Slots. Unique to this casino: this casino is truly all New. If You have never visited it would be a good time to visit or if You have been there before its well worth a revisit. Right now The Tropicana is offering something not seen before. Sign up for a players card (new players only) and get back up to 200 dollars in losses. Half of which They will give You 12 hours after Your session and the other half will be given to you 30 days later. Makes playing a little more fun. The Staff at the Tropicana is very friendly, just like They were before the remodel. Air quality in the Casino is excellent, Cocktail service is very good and the restrooms are as expected from a brand new Casino: Modern and Clean.